Hello, my name is Veda Rice and I am a dedicated real estate professional. I specialize in all areas of buying and selling real estate in Central and Southern Maryland (including Baltimore City, Baltimore County, Anne Arundel County, Howard County, Prince George’s County,Charles County and Calvert County). 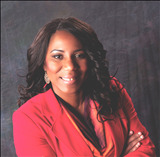 I bring my previous experience in the non-profit field as an advocate for underprivileged children, youth and families; and, I have taken that passion of serving others into my real estate career. Helping others is innately who I am. I pride myself on being HONEST, TRUSHWORTHY, KNOWLEDGEABLE; but more importantly, PASSIONATE about your needs and desires in finding your dream home or that investment property which suits your needs. I will guide you through the transaction process; provide professional advice based on your needs; current trends and market analyses; negotiate contract terms and monitor all details; maintain open communications; and provide frequent updates. I’ll utilize the latest technologies, market research and business strategies to exceed your expectations. My goal is to ensure that you have a positive and productive experience with me during your real estate transaction so that in the end, you will feel confident in referring me to your friends, colleagues and family! A Home is not a Home because of its room dimensions or the color of the walls; it is about how you feel when you walk through the front door and the way you can instantly envision your life unfolding there. This is about more than real estate; it is about your life and your dreams. Data last updated: Apr 23, 2019 7:43:am.